Brass is my favorite choice when it comes to kitchen hardware. 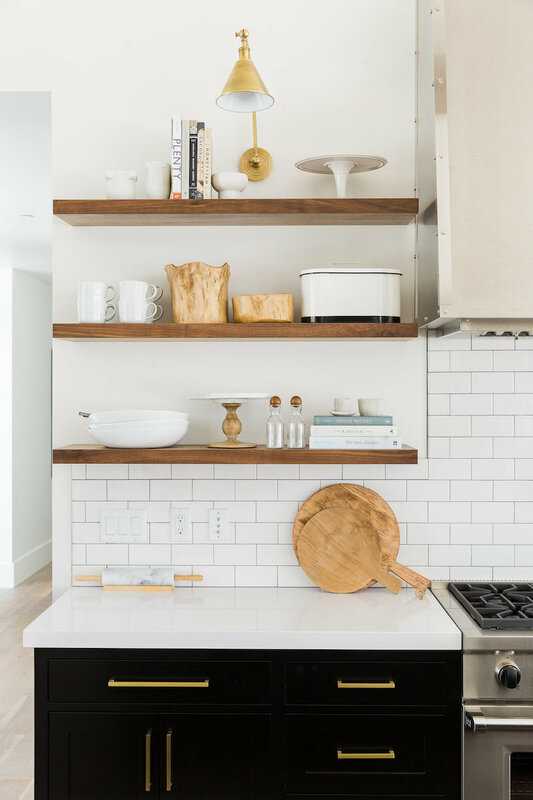 Brass bar pulls and brass knobs can be lovely additions to both light and dark kitchen cabinets (as seen in the lovely Studio McGee photos on this post). Although solid brass hardware can be quite expensive, you can opt for a brass finish on metal-based pulls and knobs to keep costs down. 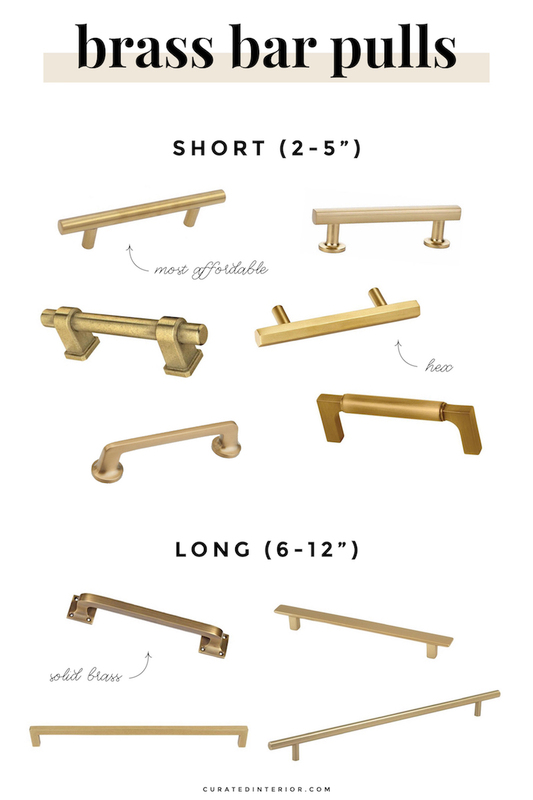 I’ve included both in my selections below for the brass hardware I’d love to install in my kitchen! Let’s start off with ten beautiful bar pulls, which can be used on both cabinets and drawers in the kitchen… Personally I love the minimal look, so you won’t find too much flair in these pulls, but that’s precisely why I love them! Brass knobs are going to be noticeably smaller, and I think these work better on lower cabinets and drawers, since you really only need a small knob to grab onto to open them, as opposed to a bar pull which may be used by people of varying heights. 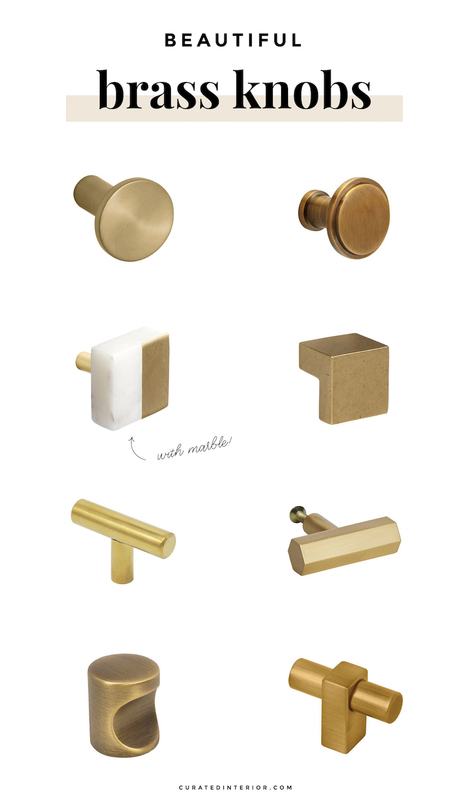 Here are eight lovely selections for brass knobs in the kitchen! 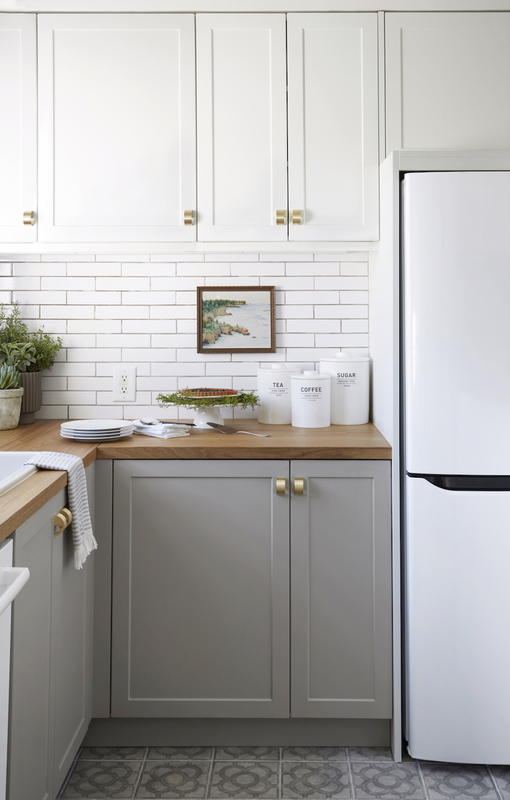 Do you have brass in your kitchen?